Lineage OS, the new custom ROM initiative that will replace the now shut CyanogenMod has gained a new logo to kick off 2017. This development comes right after the project gained an official Gerrit account to help developers keep a track of the modifications being done to the code. Active development has already started with people making changes in real-time to the code. This pace of rapid development is sufficient to dispell the concerns regarding the survival of the popular ROM development community. Since Lineage OS borrows the same source code as CyanogenMod, Head over here to check out the progress of official builds and so forth, if you’re not okay with installing unofficial builds. 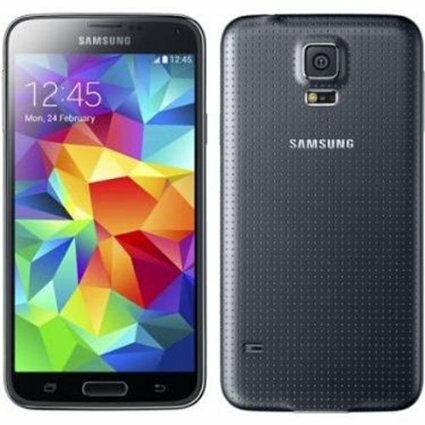 This Rom is to be flashed only on Galaxy S5. Please do not try on any other Variants. Your device should be Rooted and have a Custom Recovery installed to be able to flash the ROM. We will be using TWRP Recovery for this tutorial. This tutorial will wipe out all your data. Make sure you backup all your data in your phone before proceeding. Battery Must be Charged above 92% before using this Tutorial. How to Install Unofficial Lineage OS 14.1 ROM on Verizon Galaxy S5 (G900V). Download the Lineage OS 14.1 ROM Galaxy S5 and Nougat 7.1 Gapps to your computer. Connect and mount your Galaxy S5 USB memory on your computer using the USB cable. Now copy/paste the downloaded Unofficial Lineage OS 14.1 ROM zip file to your SD card. Make sure the file is in the SD card root (not in any folder). Then turn OFF your phone and disconnect from the USB cable. Now to get in the Recovery Mode. Switch ON the phone while pressing and holding Volume Up + Home + Power buttons together. Once you are in ClockworkMod Recovery, select perform a full data wipe by selecting “wipe data/factory reset”. Use the Power button to select everything while in the Recovery Mode. Then, perform a cache wipe by selecting “wipe cache partition”. Now this is optional, but it is recommended to perform a wipe of your dalvik cache as well. You will not get into boot loops or any other errors. From CWM recovery, go to ‘advanced’ and then select “wipe dalvik cache”. Then go back to the main Recovery screen and select “install zip from SD card”. Now select “choose zip from sdcard”. Using your volume keys, navigate to the Unofficial Lineage OS 14.1 ROM zip file that you copied to your SD card and select it using the Power button. Confirm the installation on the next screen and the installation procedure should start now. Nougat 7.1 Gapps: Repeat the above step for the Gapps zip file as well and install it on your tablet. After the installation completes, go to “+++++Go Back+++++” and reboot the phone by selecting “reboot system now” from the recovery menu.